Are you looking for a company that does Stairway systems in Croydon ? SAS Projects is the ideal company for your Stairway systems project in Croydon . We have many years experience in Stairway systems and other services in Croydon . Our highly skilled team can provide a trusted services including project management and delivery. We have been serving companies and delivering projects in and around Croydon for over 10 years and have becuase a trusted and respected partner on many projects. Our Stairway systems team have the experience, knowledge and skill to deliver your project on time and on budget. Warehouse stairway systems are ideal for a wide range of jobs in a warehouse or stock room environment. Specifically designed for ease of use and ease of mobility, stairways and ladders for use in warehouses are designed with safety in mind. Warehouses with mezzanine floors need to offer access to additional storage space to ensure that accessing the higher level is safe, quick and easy. Commercial staircases can be configured with single or double handrails and should have non-slip PVC treads. Stairway systems can be manufactured in a range of materials including aluminium, steel or stainless steel. Stainless steel options are particularly useful in environments where hygiene is of paramount importance. Stairs for mezzanines offers a practical solution to many logistical problems by efficiently utilising the available space for manoeuvrability. They are easy to install and set up. We appreciate that in normal storage operations, speed and efficiency is vital to your success. Strategically installed stairs, allowing for easy access to hirers and staff, make for a successful self storage business. We are specialists in double deck and moving stairs, with unique lifting and slide-away staircases also available. All of our stairway systems are lightweight, easy to use, and cost effective. Compliant with all of the latest safety and building code requirements. Suitably easy extensibility for fire exits, mezzanines, work platforms, loading docks, conveyor crossovers, in-plant offices and elevated work areas. 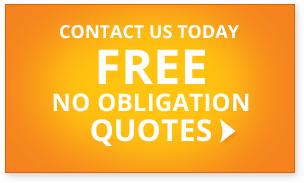 for a fast, free, no-obligation quote or to discuss your stairway systems project.